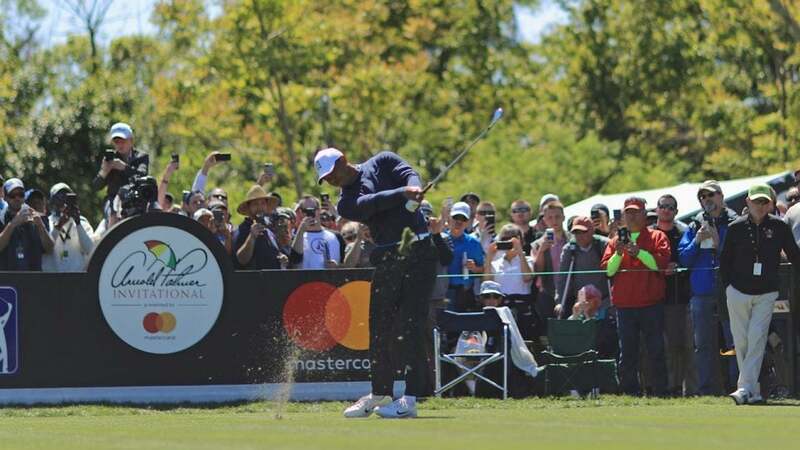 The Arnold Palmer Invitational presented by Mastercard heads to Palmer’s famous Bay Hill Club and Lodge this weekend looking to crown a new champion. The Orlando-based tournament dates back to the 1969 Florida Citrus Open, but moved to its current home at the Bay Hill Club and Lodge in 1979. The tournament has had many notable champions, including Palmer himself in 1971 before eventually becoming tournament host in 2007. Lee Trevino, Fuzzy Zoeller, Phil Mickelson and Jason Day are also former champions, though no one can touch Tiger Woods’ haul of 8 titles. Unfortunately, Woods has had to withdraw from the tournament due to a neck injury so he won’t be able to add to his record. One golfer looking to add another title is 2018 champion Rory McIlroy. McIlroy started the 4th round of the Arnold Palmer Invitational 2 shots behind Henrik Stenson. McIlroy started slowly by failing to card a birdie until the 6th hole. From there, McIlroy began chipping away at Stenson’s lead and leaving the pack behind him. Palmer famously said that the tournament should be won or loss on the final 3 holes famously known as the “Bear Trap,” and McIlroy did not disappoint. His 2 birdies on the Bear Trap took him to his 14th PGA Tour win by a full 3 strokes. In an odd bit of coincidence, it was McIlroy’s first win since his winning the 2016 Tour Championship on the day the Palmer passed away. McIlroy enters the 2019 tournament on the back of some impressive early season performances, including a runners-up finish at the World Golf Championships-Mexico Championship. However, McIlroy has not won in the past year and will be looking to get back to winning ways and cement his status as one of the world’s best. The rest of the field will provide a stern test and includes the 2018 runner-up Bryson DeChambeau, as well as Justin Rose and Brooks Koepka. DeChambeau, Koepka, and Rose can already boast wins this year on the PGA Tour. Other contenders include AT&T Pebble Beach Pro-Am winner Phil Mickelson, Hideki Matsuyama and Francesco Molinari. Fans looking for future stars should keep an eye on 2018 U.S. Amateur champion Viktor Hovland and 4th ranked NCAA golfer Justin Suh. Fans looking to take in the action can still purchase tickets or enjoy television coverage courtesy of the Golf Channel and NBC.